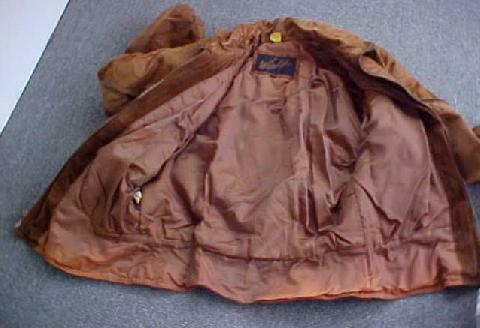 Winlit.... Ladies... Light Brown....Lined... Leather... Bomber Jacket. Size S. Made in China. Genuine Leather. Lining: 50% nylon/50% acetate. Professionally leather clean only. Warm and heavy for the cold weather! 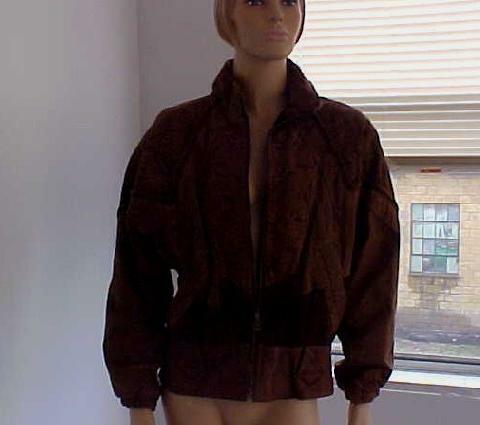 This stylish light brown, lined, leather bomber jacket has a pattern within it with light "braided cording" and some suede detailing as well. It has a nice metal zipper down the front and a collar. The back of the collar has a pretty brass-tone button. There are 2 front pcokets and the sleeves have elasticized cuffs to keep the cold air from getting in. 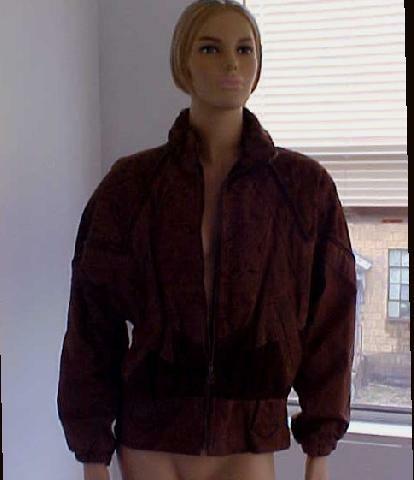 The jacket is waist length, maybe a little longer. 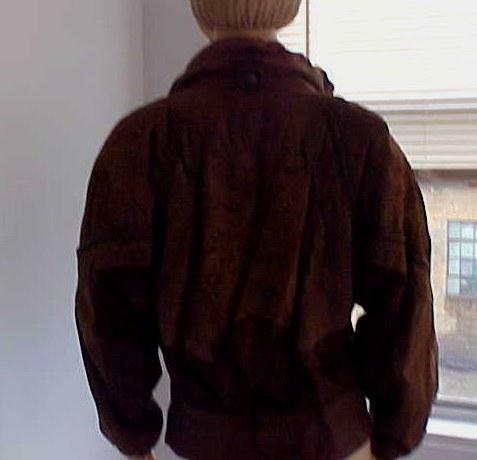 There is light padding in the shoulder area. This is a very nice, warm jacket that looks great with denim! Item has been dry-cleaned! There are no stains, rips, tears or pulls. In good, used condition. Please note that this is a pre-owned item. I inspect all items to the best of my ability and make notes of any imperfections; however, if something has been missed during my inspection, it is at the buyer's discretion! PRICE: $29.99 plus $1.50 special handling charge.